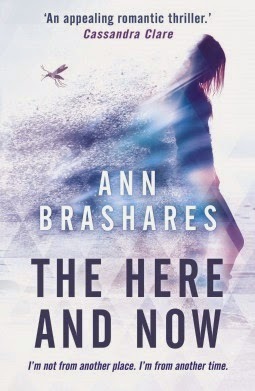 The Here and Now follows the life of Prenna James. She was from the future- where a mosquito-borne illness killed millions of people, and the only way to survive is to emigrate to a different time path. Together with others, they time travelled hoping to change the dark future they've lived in. Upon coming to the present, their so-called leaders imposed a set of rules that Prenna and the others must follow in order to live peacefully. Never reveal where you're from. Never be intimate with a time native. Never interfere with history. Change is not what they are doing after all. I saw this on NetGalley and I was intrigued by the title and the cover. I've only read My Name is Memory by Ann Brashares, and I was kind of so-so with it. Thus, I didn't know what to expect with The Here and Now. This book is a short read. Chapter one introduces the 12 rules imposed by the leaders and an overview of what life is like living with them. It tells right away the struggle of Prenna and the whole community- lack of freedom and fear of punishment. The first few events are a bit confusing if one does not know the premise of the book. But as the story progresses, it becomes clear. It can also be a bit slow towards the middle part. And though the book claims to be thrilling and exhilarating, I did not find it either. I guess I expected more action. There is an element of romance but I was not sure if it's the main focus of the book, although Ethan plays a major part in Prenna's development. One of the things I liked about the book is Prenna's friendship with Katherine. It wasn't explored well but from what I read, it showed how Prenna loves her friend. It showed how she values her relationship with someone she trusts. Her relationship with her father... I didn't know Prenna's relationship with Poppy, her father, is important until the latter part. I think Prenna's relationship with Ethan competed with her other relationships, so I wasn't able to tell immediately their impact on Prenna. Mother... Prenna and her mother are kind of distant to each other, but I guess fear of the leaders will do that. However, I liked her development towards the end. Ethan... Like I said, he plays a major part in Prenna's life. He's whole reaction to everything was a bit weird for me. But I guess, he is just like that. Haha! Anyway, I liked that though he's a genius, he is still down-to-earth and friendly. Andres... I don't want to spoil anything but let me just say that I do understand his actions. Except for the Prologue, the story was written in Prenna's POV. Thankfully, Prenna is not annoying so I was okay with her thoughts. Haha! This is my second "time travel" read, but I don't think it's unique since most of the elements were like that of a dystopian novel. However, I did enjoy my reading. It wasn't what I expected but it was okay. The Here and Now is a story about trust- trust in our loved ones and most especially, in ourselves. It is a story of how uncertain things can be, a story of how we can be a part of something. We think we know the future, but not really. Everything is uncertain. Tomorrow is uncertain. But we don't need tomorrow to act on things. We have today to start doing something. Something for ourselves, for our family, for others, for the future. Ann Brashares grew up in Chevy Chase, Maryland, with three brothers and attended a Quaker school in the D.C. area called Sidwell Friends. She studied Philosophy at Barnard College, part of Columbia University in New York City. Expecting to continue studying philosophy in graduate school, Ann took a year off after college to work as an editor, hoping to save money for school. Loving her job, she never went to graduate school, and instead, remained in New York City and worked as an editor for many years. Ann made the transition from editor to full-time writer with her first novel, The Sisterhood of the Traveling Pants. 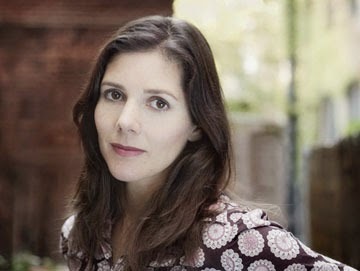 Ann and her husband live with their three children in New York (Source: Goodreads).